The buzz surrounding the upcoming iPhone 8 refuses to die down, and while recent reports all seem to almost confirm that Touch ID fingerprint sensor was going to be placed underneath the display, the latest reports from credible sources refute all those claims. After noted KGI analyst Ming-Chi Kuo suggested that Apple is not bringing the in-screen Touch ID feature, and may do away with Touch ID altogether, a fresh report from Bloomberg seems to now suggest the same. According to the report, the Cupertino giant is testing a new security feature that will allow the upcoming iPhone to unlock the screen and authenticate the user utilising 3D facial recognition. This will be possible with the new 3D front camera system that has been rumoured on several occasions in the past as well. While this news may be a dampener for many Touch ID fans, it’s at least a better alternate route than the Touch ID integrated at the back of the device (or even on the power key?). Alipay, China’s biggest online payments platform, is stepping up its global expansion with a major foray into North America, taking on PayPal and ApplePay in their home market. 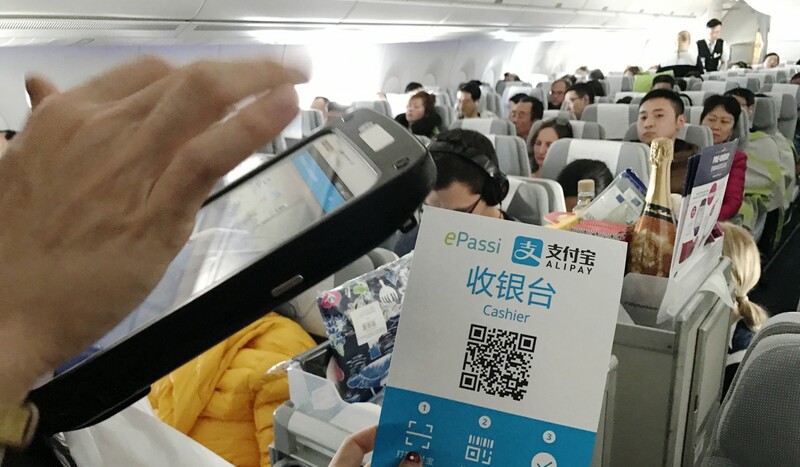 Hangzhou-based Alipay has partnered with US credit card processing service First Data Corp to support mobile payments in four million merchants and retailers across the world’s largest consumer market, according to a joint statement by the two companies early on Tuesday. “Our goal is to extend reliable payment services to the over four million Chinese consumers who visit North America every year,” said Souheil Badran, the president at Alipay North America. The announcement followed news on Monday that Tencent Holdings has partnered with Citcon, a mobile payments start-up in California’s Silicon Valley, to expand the use of its WeChat Pay platform to support Chinese tourists in the US. Alipay was first to collaborate with Citcon in February this year.